ACL Kodachromes Part IX | A Continuous Lean. Thirteen more images from the ACL Kodachrome collection. This series helps to further reinforce the importance the automobile had on American culture in the late 1940s and 1950s. 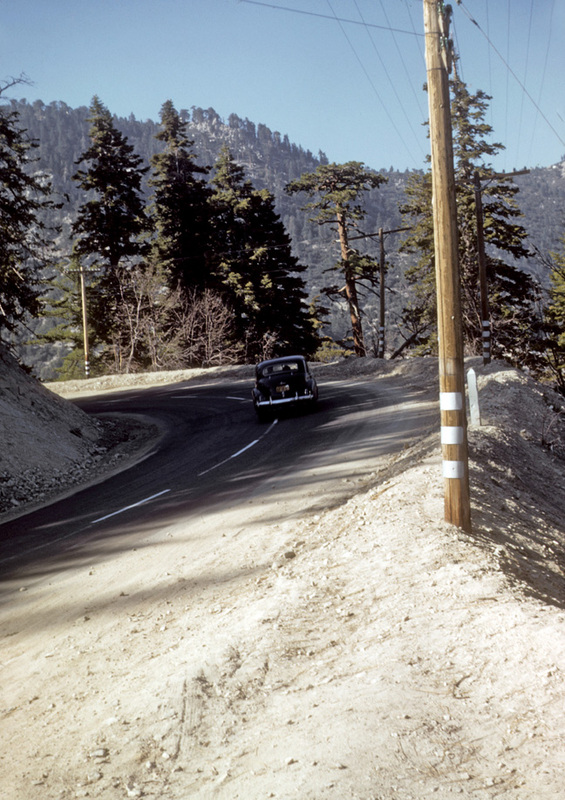 So many of these old photos involve cars in one way or another, it is astonishing to me. 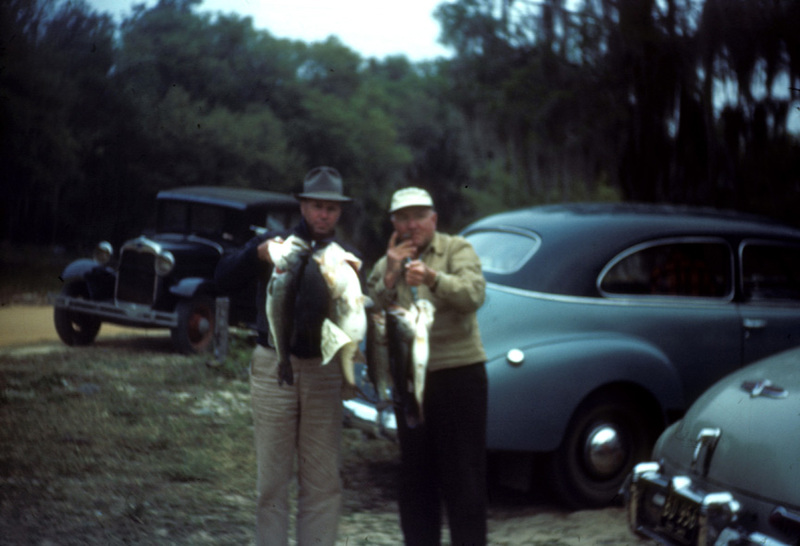 When thinking about all of the images I have obtained the two main things I have learned about this time in America is: people loved to go fishing (fishing photos make up probably 30% of all of the slides I own) and that there are few things more fun (or important) than a car. 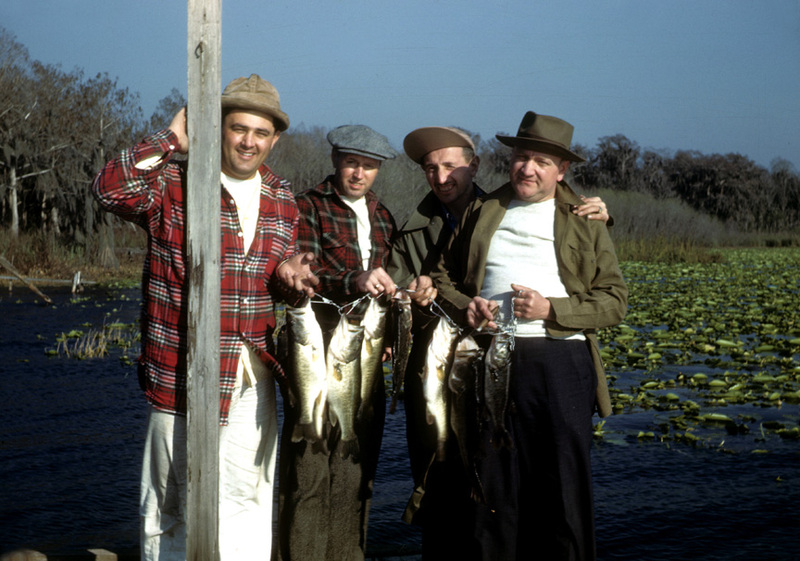 Without one how would you and your buddies go fishing? Just think how much more time they had to go fishing. Today were on the internet (ACL anyone?) and have 1000 TV channels. But when I look at my dad’s old photo’s they are always at a lake or something too. I have yet to achieve the pleasure of fishing, but the cars I’ve had it for some time. I can’t go anywhere without taking pics with cars, and of cars !…. Wow, the Niagara Falls (USA) skyline hasn’t really changed that much. Great set of photos. Thx. There is a monster bass in that last picture of fish! That dude in the first pic has some crazy glasses. I was born in 1953 and so I was a young lad in the 50s and the pre-Beatles 60s. The world, no surprise, really did look like this. I have a big box of my dad’s slides (argus cameras anyone?) unintentionally featuring our olive/pale yellow gloriously finned ’59 Chevy station wagon, yellowstone bears, and the ’62 Seattle World’s Fair (a 1000 mile family road trip vacation). These guys could all be my dad and his friends and the women could all be my mother. Such days to grow up. 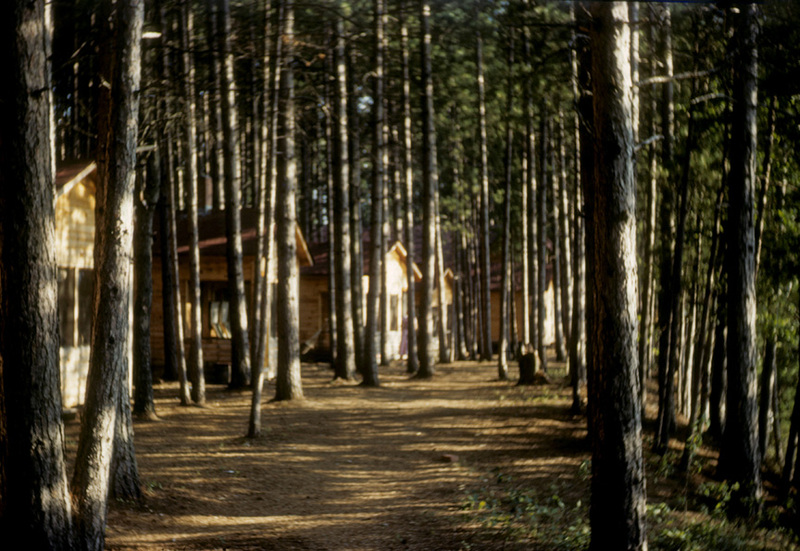 like the way the cabins are camouflaged by the trees in the last shot. Fedora and shades in first picture are awesome! Love these pictures; thanks Michael. How common were cameras in this era? I’m just wondering if people who could afford (or were inclined to own) such a gadget were more likely to own and photograph an automobile. 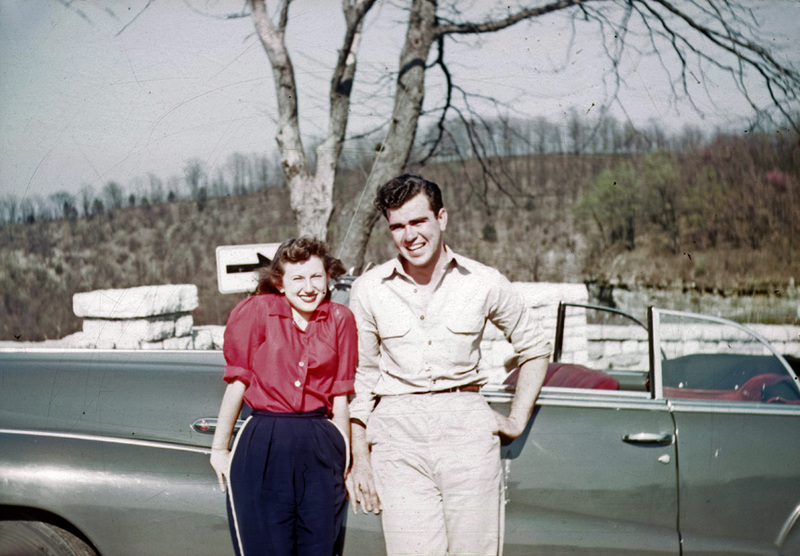 For that matter, was the auto-owning set so enthusiastic about photographing their fishing trips because they were rare diversions from their increasingly sterile, suburban existence? dude with his baby has some chill style. i’m down. Beautiful pics, as usual. And some monster largemouth! But where exactly were these taken? You speak of “American Culture” ! gotta say, but being from Ontario, man, everything about these really looks Canadian! 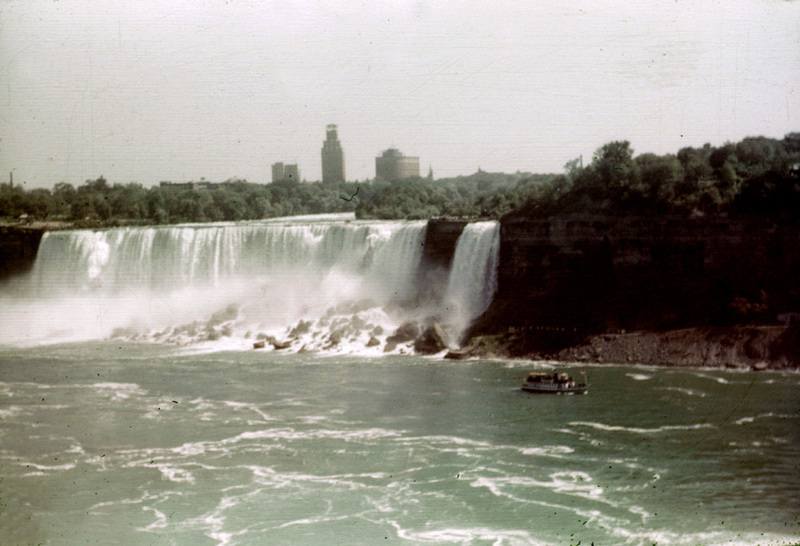 And the shot of the Falls is taken from the Canadian side. Photograph *6 I find very alluring. That’s an awful lot of camber on the road, and there appears to be a disconnect between the vertical axis indicated by the telegraph poles and the vertical of the trees. Has the camera been inclined, aligning itself with the false vertical, thus exacerbating the road camber? I just can’t tell. The image holds a lot of tension for me and so is my pick ‘o’ the bunch. Never mind the fish, I’m intrigued by the Model A in the background of photo #10. The only reason I have a car is to move the boat around. JLSLC – are you joking? Inexpensive cameras have been available for over 100 years. So yes, this amazing photographic taking device was quite popular in the 1950’s for even regular folks. Not just the monocle-in-the-eye, top-hat wearing class of people slumming it in the woods or the lake on the weekend. Thank you for sharing these, the task of having them scanned etc can be burdensome and rather costly. I appreciate you sharing these to us FREE. Oftentimes large collections of found photographs like these sit still, or are only published in costlier subscription based magazines. 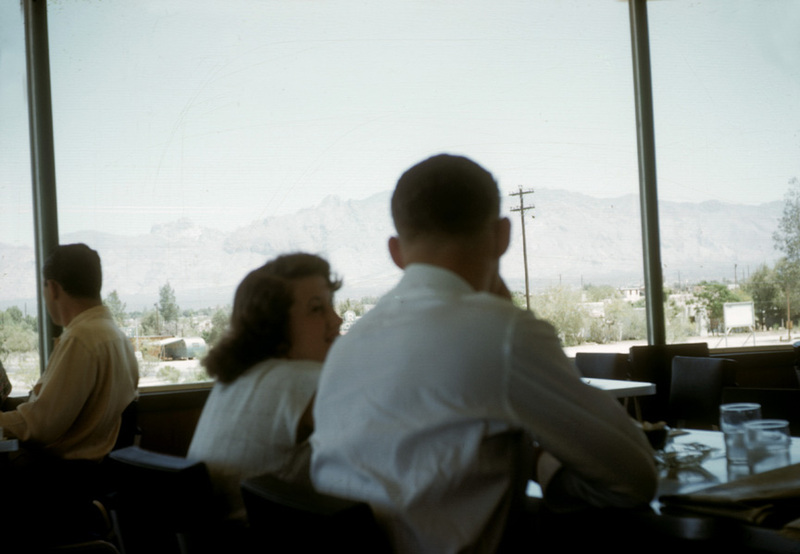 I really do love the shot of the younger couple in the diner. It could be anyone, and could have been taken almost anywhere. It encapsulates a mood that is harder and harder to stumble upon these days… the optimism, and hope you can tell these two have without even really seeing their faces. Your collection makes me wish that kodak would reneg and bring back kodachrome and many of its other fine films lost to history, in particular the kodachrome movie film, it is excellent for making short films, and IIRC up until its demise many surf documentarians were using it as well since the super8’s require no electricity or batteries. Anyhow, thanks as always for curating such a wonderful collection of ideas for us. I love the ACL kodachrome series. 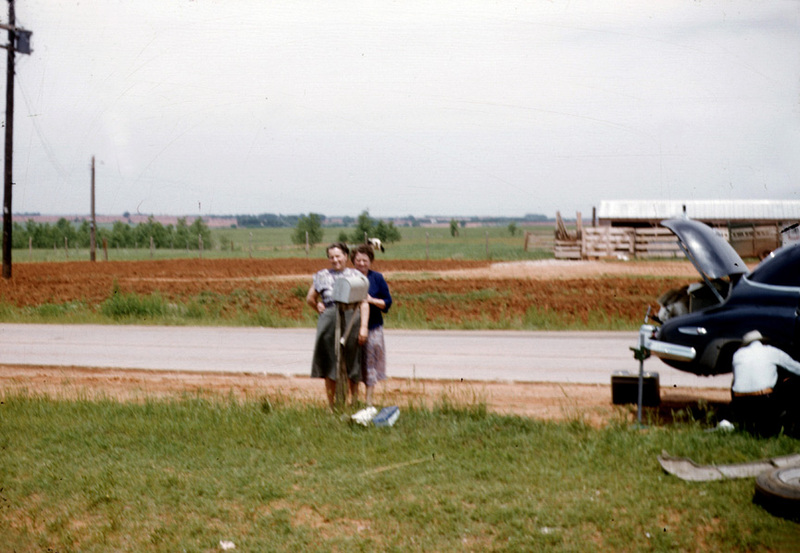 I just saw that Dwayne’s photo in Parsons, KS will stop processing kodachrome on December 30th. Have your rolls in by noon that day. They are the very last lab on planet earth to use the k-14 process (unless there’s some lab in China that still does it, but I doubt it). As much as I love my 5D I do wish there was still a place for the very unique kodachrome image. You couldn’t duplicate it if you tried with master photoshop knowledge. Beautiful series! Kodachrome is just colours and emotions that are very hard if not impossible to replicate today! Everything seems to have been better back then, both aesthetically and the overall way of life! 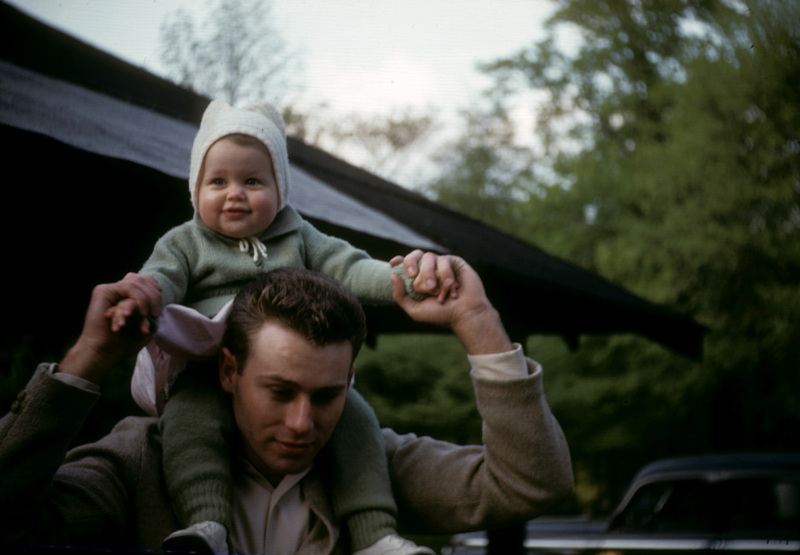 I absolutely love your Kodachrome postings. These are real people wearing real clothes just living their lives, not the poseur-models we see all over the blogosphere regaling about their style when they are mostly mannequins with smiles. 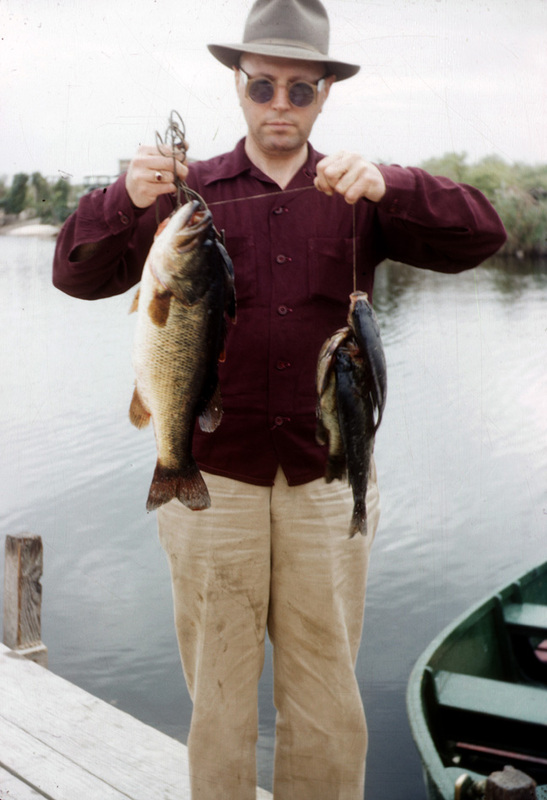 The gentleman in pic #1 captures everything I love about fishing, including the “fish slime/guts/blood” on his pants! 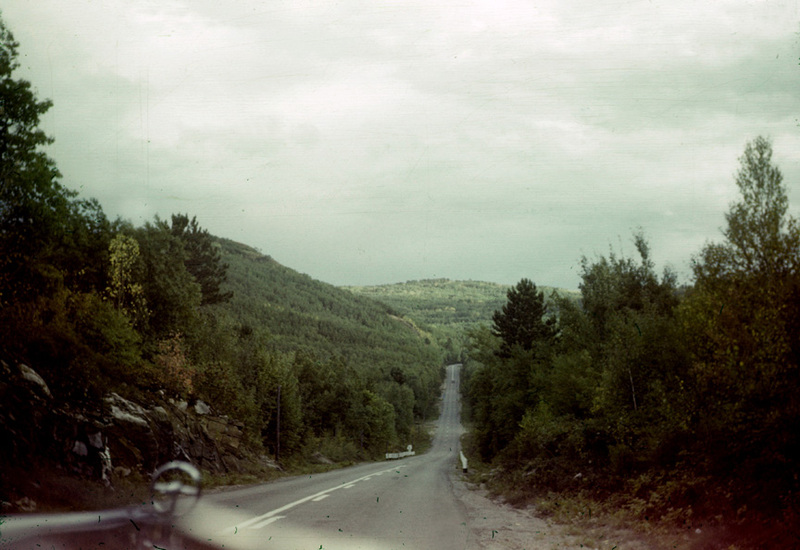 Lovely- any idea what mountain pass that is in the sixth image down? 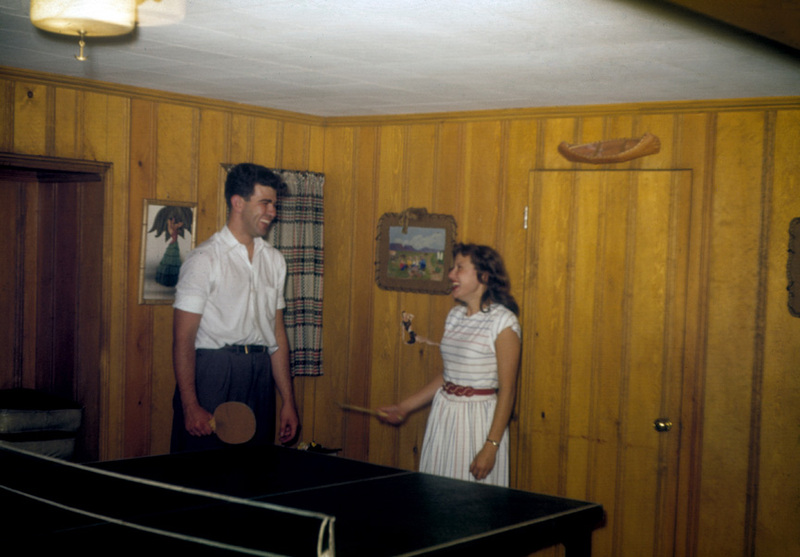 I wonder about their stories…in # 5, are they in love or is that a bro & sis look of banter? Where were they going on this road trip?? Newlyweds?? 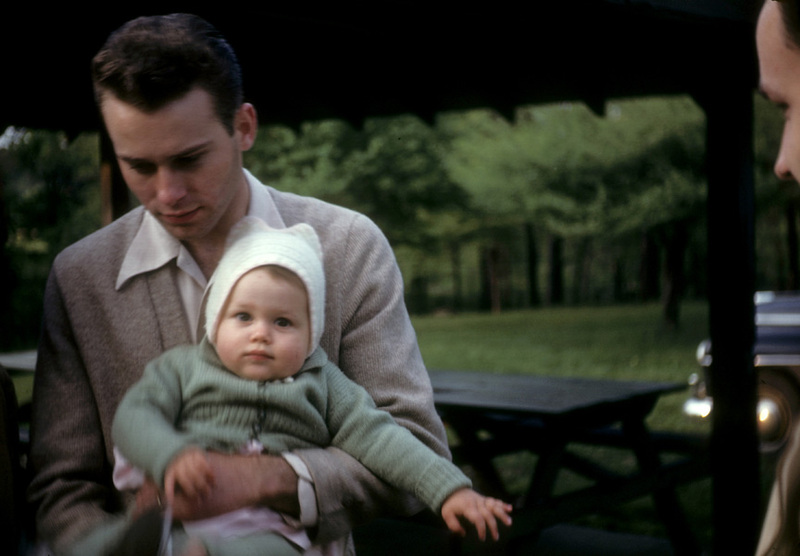 And the proud papa & baby in 3 & 11…. those eyes!! I heard (on the CBC — maybe DNTO?) that most new parents take 1000s pictures of their new baby each year…..but have no idea how to catalog/show the photos. A book a book a book! pls.